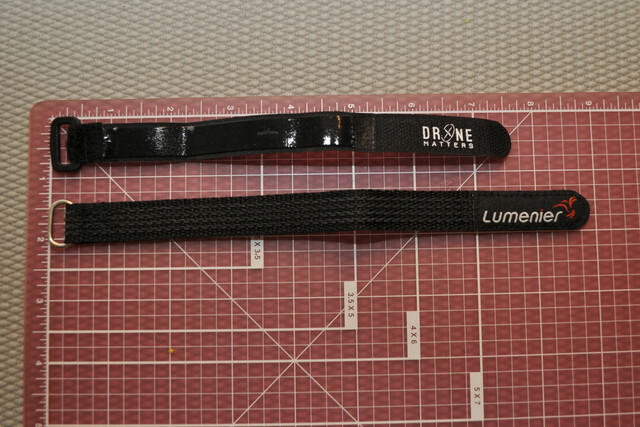 Anyone rocking these kevlar lipo straps? What do you think and what's the weight on these? I'm not sure I need to bulletproof my lipos and I haven't actually had a normal grip strap rip on me (but I do not fly like Charpu either) but I like their look and heck if I can fly through Falujah lipo intact, I guess that's a bonus right? I went ahead and picked up a pair myself. I was surprised that they weighed less than the standard grip strap I currently use. Better bullet proof than taking my lazy cheap way out and using Walmart velcro strips cut into strap length. Another thing that has plagued me when G-force attacks. Careful with this one too.....cost me a bit to get the drone in the air again. Thinking Kevlar aint a bad idea. WOW! Either that's a really crappy strap or you pull some serious Gs my friend! Would love to say killer G-force, but gonna say its the strap. Yea these 16x220 ones do not weigh the indicated 3.3 grams. More like 5.5. I know the 2 gram delta might sound small but that can be a big deal for 150 class builds. 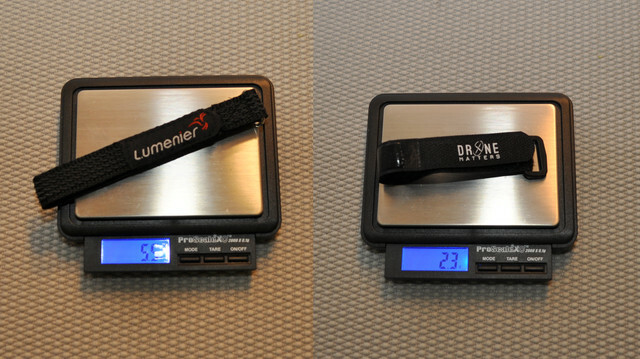 Yes, I am comparing them to a shorter strap but in practical terms, these would be my choices for lipo straps. Don't get me wrong these seem like quality straps and look really cool too. Just that the specs are off. mine are getting kinda "hairy" and worn. I like to have at least one Flynoceros strap but the back one (top mounted battery) is currently "RDQ" to show love for a fave company. its been a good strap but its done. How is the underside of the kevlar ones? Is it sticky or grippy on the battery? I use these 250 x 20 Kevlar straps which are extremely secure. Weight is not an issue as I more often than not, fly similar to driving a bus. Haven’t lost a battery yet through smacking into either trees or the ground. Those wavy lines you see are grips woven into the fabric. Sorta like high end camera straps. They work really well and do not peel off like I see older lipo straps with grip tape. These are def high end straps but I am a stickler for weight lol.